We individualize every journey. 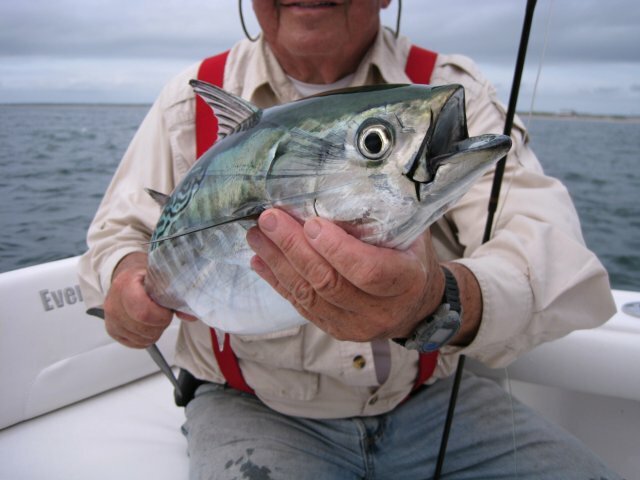 Beginner anglers are provided tackle guidance, casting instruction and attentive orientation. Experts (if they choose) can be given advanced instruction and challenging fishing situations. Our fly selections and knowledge of our ecosystem will enhance your success. Your trip will be exciting and informative: a day of intimacy with nature. We encourage both women and children to participate. We offer a special youth rate. Your trip begins with the morning sunrise as we slip out of the breachway. The scenic run to our first location is placid and beautiful. All is calm until the first fisher yells: "Fish on!" A battle cry that should be often repeated. We promote "Catch and Release" and encourage the preservation of our fisheries.